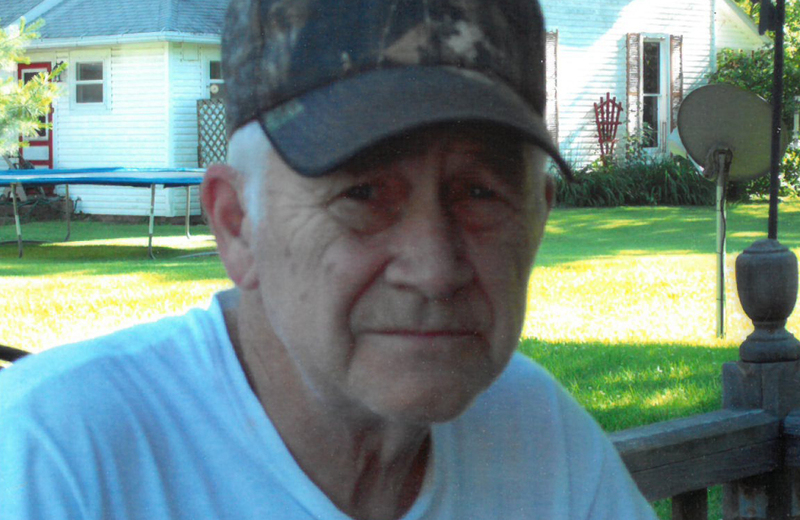 Obituary for Clarence F. Turley | McKee Mortuary Inc.
Clarence F. Turley, 82, of North Manchester passed away at his residence on January 31, 2019. He was born February 9, 1936 in Terre Haute, Indiana to Charles C. and Eva E. (Butler) Turley. On March 2, 1956, Clarence married Dorothy Mae Myers. She passed away on August 11, 2015. He was a member of Deming Lodge # 88 F & AM, Ivy Chapter # 69 Order of Eastern Star and Loyal Order of Moose, all at North Manchester, IN. He was also a member of Mizpah Shrine and Scottish Rite, both at Ft. Wayne, IN. In his spare time, Clarence could be found riding horses, trying to get a fish on his line, or playing a round of golf. Wednesday mornings were spent at McDonald’s where he and his friends would solve the world’s problems. An avid fan of the Chicago Cubs and the Indianapolis Colts, Clarence could most always been found armed with a glass of tea or Pepsi. He had an undying love for his grandchildren and great grandchildren. Clarence will be remembered by his sons David Turley, Indianapolis, IN and Stephen (Lisa) Turley, North Manchester, IN; one daughter Rhonda Turley, North Manchester, IN; one brother Perry (Catherine) Turley, Terre Haute, IN; five grandchildren and seven great-grandchildren. He was preceded in death by his parents, one brother, Robert Turley, and two sisters Minerva Eastham and Vera Rose Turley. Friends and family may call Thursday, February 7, 2019 from 2:00 p.m. – 6:00 p.m. at McKee Mortuary, 1401 State Road 114 West, North Manchester, IN. A masonic service will be held at the conclusion of calling. Funeral services will be held Friday, February 8, 2019 at 1:00 p.m. with calling one hour prior at McKee Mortuary. Pastor J.P. Freeman will officiate and burial will be held at Fairview Cemetery, County Road 300 East & County Road 1000 North, Servia, Indiana. For those who wish to honor the memorial of Clarence, memorial contributions may be made to the Congregational Christian Church, 310 N. Walnut Street, North Manchester, IN.